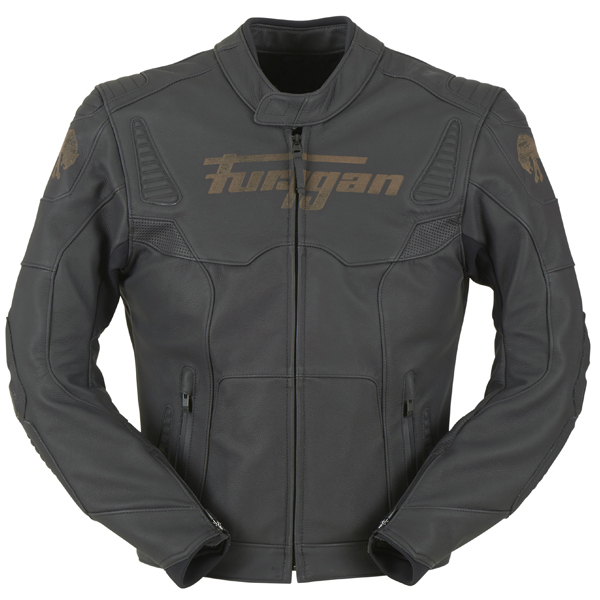 This jacket is the first of Furygan’s leather gear I have tried – and I have to say, I am very impressed.  Of course, I expected great quality from the French brand, well known for its sharp design and classic styling; after all, they have been involved in biker safety for coming up to 50 years, so they know a thing or two about keeping you safe in style. 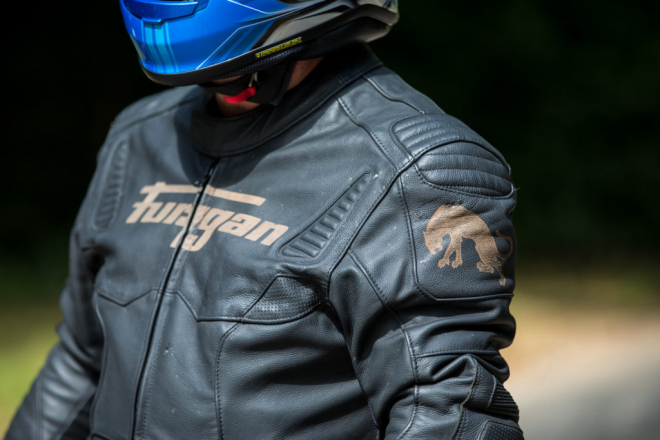 Furygan have certainly earned their respect in the industry for their continued investment in safety and protection development by their in-house R&D facility they call ‘Motion Lab’, where several entirely new innovations such as their skin protect lining and aluminium lining were developed. Although the Sherman is very much a sport-oriented jacket, it offers classy, classic styling. 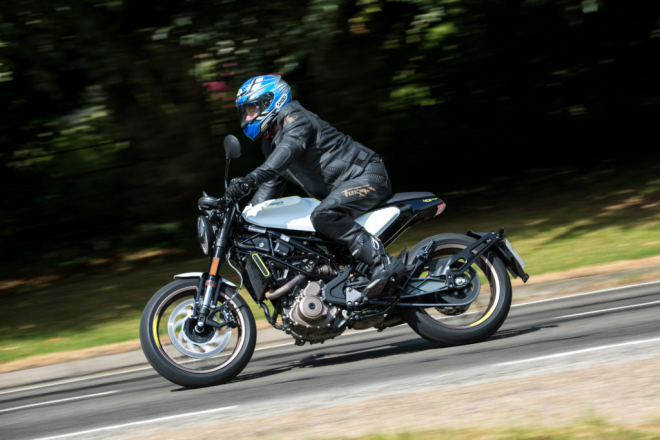 It’s not garish, and won’t look out of place on any machine – no matter whether you’re riding a sportsbike, cruiser or modern retro machine. 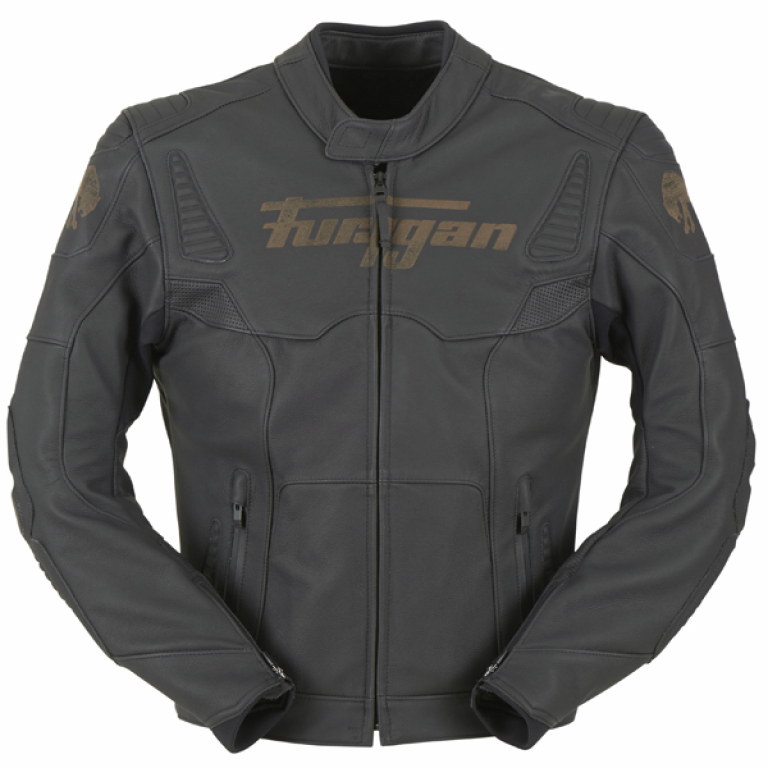 I often have to explain to my wife that I need different jackets depending on the weather or type of bike I am riding, it’s not a one-suits-all type thing (a bit like her shoes, handbags and sunglasses) – but Furygan’s Sherman gear is a versatile bit of kit. I personally love the sepia decals, they are really quite stylish and somehow make the product less obviously ‘in-your-face’ sporty. This jacket feels as though it is moulding itself around your torso, yet at the same time is not as restricting as some leather jackets I have worn. This may be part due to the fact that the Sherman jacket has been crafted using brand new leather working techniques developed especially for this jacket and part due to the designed leather stretch above the elbows and shoulders, plus high tenacity bi-stretch inserts at the armpits and neoprene inserts to collar and wrists. This garment inspires confidence, and god forbid the does worst happens, you feel assured you’ll be protected. The triple stitching at the most vulnerable areas exposed to abrasion or tearing during a crash, the D30 CE protectors to the shoulders and elbows and leather and foam reinforcement on the elbows all add to make this an incredible piece of PPE. It’s well worth a look.